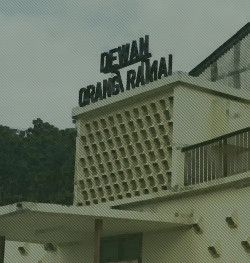 Sungai Buloh Leprosarium is part of the Tentative list of Malaysia in order to qualify for inclusion in the World Heritage List. My visit was a few years ago so it's not all in my memory anymore. After being added to the Tentative list in 2019 I can finally call it the "trinity of odd inscription attempts" KL has, the Quartz "looks like the back of a dragon" Ridge and FRIM "fake rain forest" Selangor Forest Park being the other two now joined by the "Valley of Hope". I wouldn't have visited if this not JUST next door to the FRIM park and it is somehow recommend by expats in KL. Leprosy isn't exactly the hottest thing to seek out when you are on holiday, but the history of the hospital (built in 1930 by the Brits) and presentation inside the Open Air Museum is quite interesting. I still don't think there is any chance of this becoming WHS though. What worries me more is that the site is using crowdfunding to survive and collect donations for the surviving patients. I don't mean to see I have a cruel heart in any way but the site's inscription attempt is more of a cry for attention, and instead Malaysia could inscribe some of its amazing marine space like Sipadan, Tenggol, Tioman (but obviously not Redang), Bako NP or the turtle reserves. So what can you see inside the museum? Old equipment, old beds, old replacement limps, old photos. Only a handful of the old buildings have survived, with the area surrounding it now mainly used for garden centers. It's best to have a guide for this I think because just looking at everything seems a little grim and knowing more backstory surely helps here.